This is a rather special sunset. It looks like an artist has created the clouds with a few strokes of a brush for this amazing effect. Truly a work of art from up above. That is a very magical sunset! Thanks. Great photos on your site too. What camera do you use for the diving photos? Thank you so much. We’re just using a simple Nikon Coolpix AW100. We don’t know how to use a DSLR. Hehehe! Doesn’t it give you the feeling of flying delicately into the sunset? I can see that. 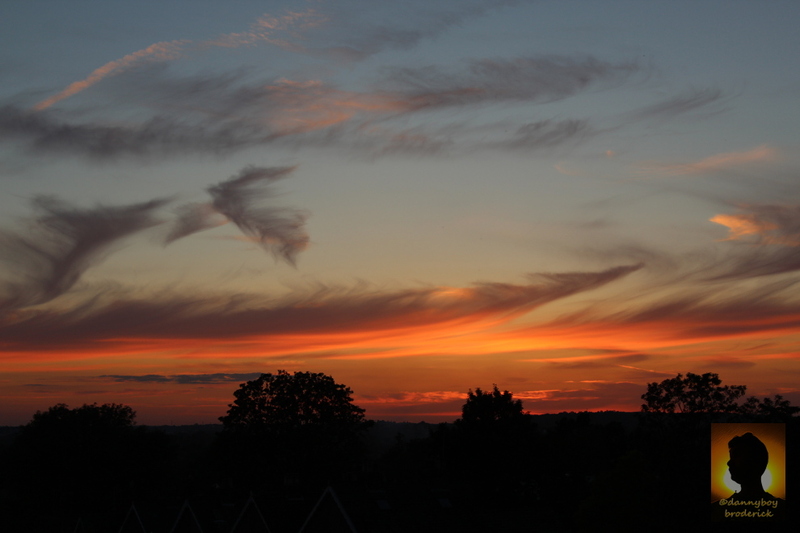 The swirly colours do give some suggestion of moving into the sunset. The photo is untouched, just how it was. Previous Previous post: Creativity is inventing, experimenting, growing, taking risks, breaking rules, making mistakes, and having fun. Next Next post: To love and win is the best thing. To love and lose, the next best.